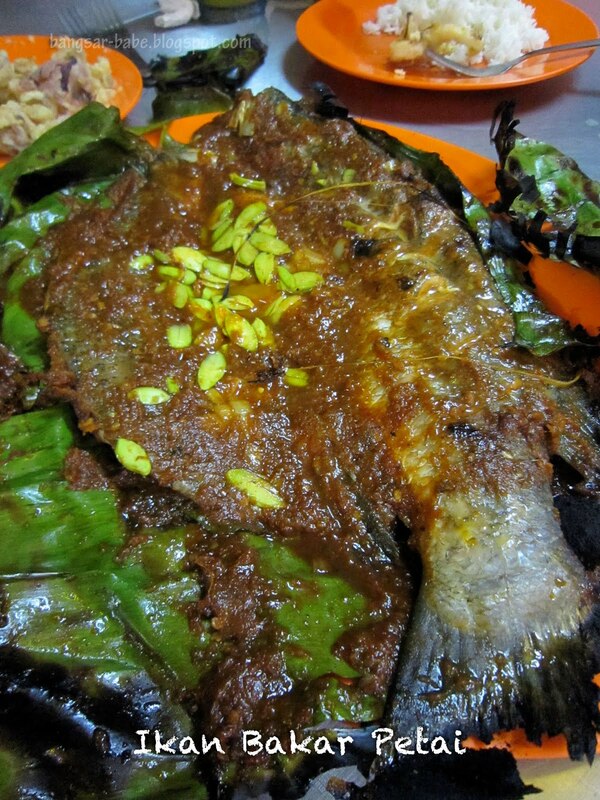 There are many ikan bakar stalls in Kuantan, but one of the more popular ones around is Ana Ikan Bakar Petai. Finding a place to sit can be difficult during peak hours, so it’s best to get there earlier or later. Problem with going later is, you might not get the fish you want. When we got there at 9pm, they were out of ikan pari (stingray) — only siakap and tilapia were available. It was a full house that night and we had to wait for more than half an hour before we were served. 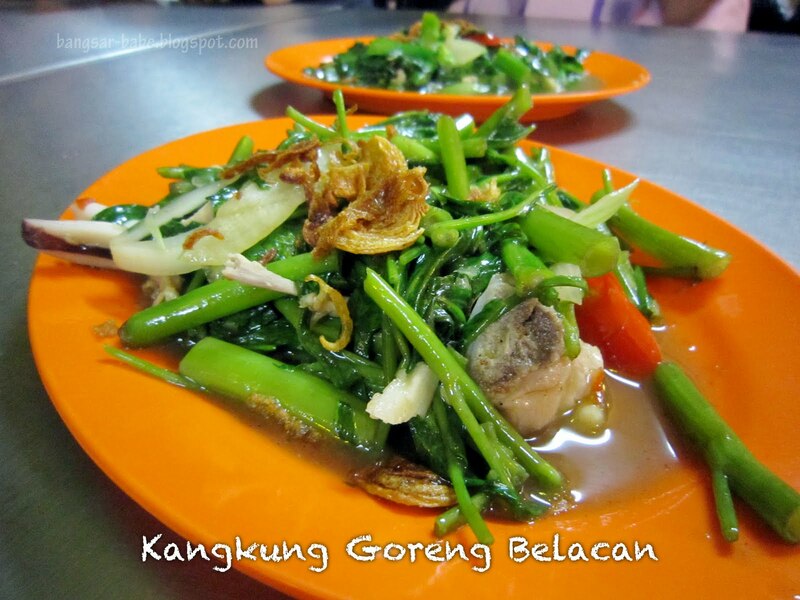 Instead of cooking the kangkung belacan with sambal, the kangkung at Ana Ikan Bakar is cooked with belacan and chili slices, making the dish mildly spicy and light in flavour. I enjoyed this, more so with white rice. Whenever I eat ikan bakar, I always opt for the familiar cooking styles like, the ikan bakar sambal petai or just plainly grilled. According to rif who dines here more than I do, the ikan masak tiga rasa is also quite popular among the crowd. 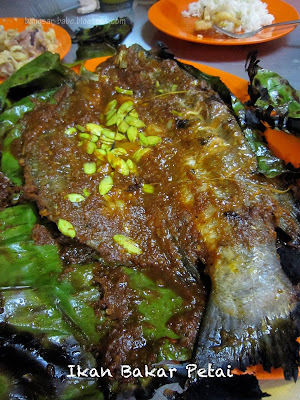 The fish is first deep fried and then topped with the tiga rasa gravy. Tastewise, the spicy-sweet-savoury flavours didn’t rock my boat. I would have preferred this spicier for more kick. The others however, enjoyed this. I liked the Ikan Bakar Sambal Petai better. Grilled with thick sambal sauce, onion slices and fresh petai, the fish was well-seasoned and fragrant from the banana leaf wrap. It had a smoky-char flavour which I found delicious. I slathered plenty of kicap hitam on my fish and ate it with white rice. My only gripe was the annoying bones in the fish; if stingray is available, just go for that. 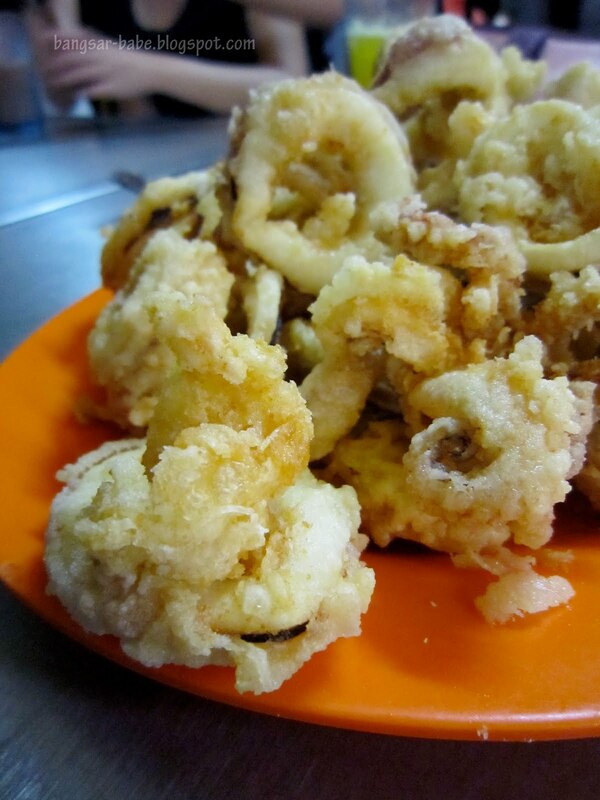 Although nothing special, the sotong goreng was properly fried, resulting in its crispy exterior and tender centre. It was very addictive, and our large plate was wiped clean within minutes. 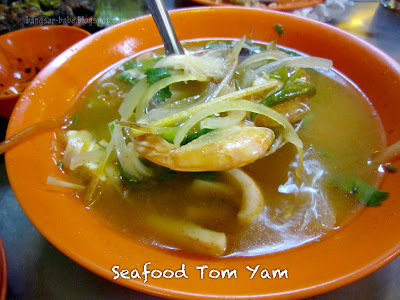 I ordered the seafood tom yam because I was craving something soupy and sour. I found this very watered down. The soup was hardly spicy or sour, much to my dismay. Skip this if possible. 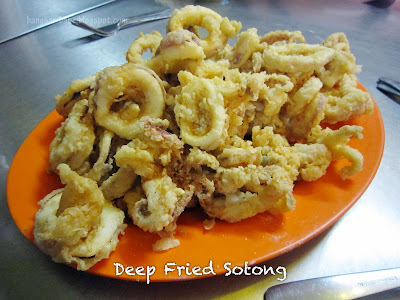 Are you huge fan of sotong? I noticed that you always order sotong! Thanks for this info…we r going Kuantan end of the month might visit this place. Gonna check this place out when we head into Cherating month end for our break with the furkids. Ikan Bakar Petai..absolutely gorgeous sounding. Petai wth ikan bakar is so rare these says…Can't wait to try it! May I know Ana Ikan Bakar Petai’s opening hour? 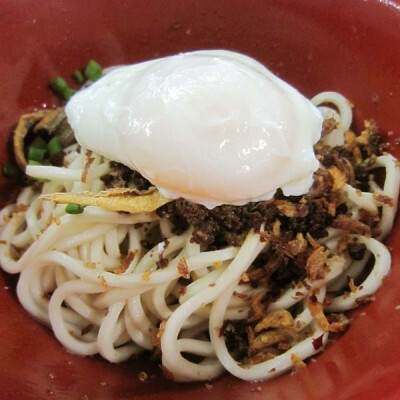 Any recommendation to dine in Kuantan? Beside Satay Zul and Curry Mee @ Teluk Cherating. We went there last Tues. Food was ok but the service was poor and slow. I am not sure whether am over sensitive or what but I saw the waiter when he took our order his face was sour but when he took orders from his own kinds, he was full of smile and charm. This is certainly my first and last time going to this restaurant. No matter how good is the food, but that kind of service is a no no for me. I am not sure whether you are a fan of Malay Selera Kampung. But if you are, try and check out “Restoran Tasik Raban” in Lenggong or Ipoh, Perak. 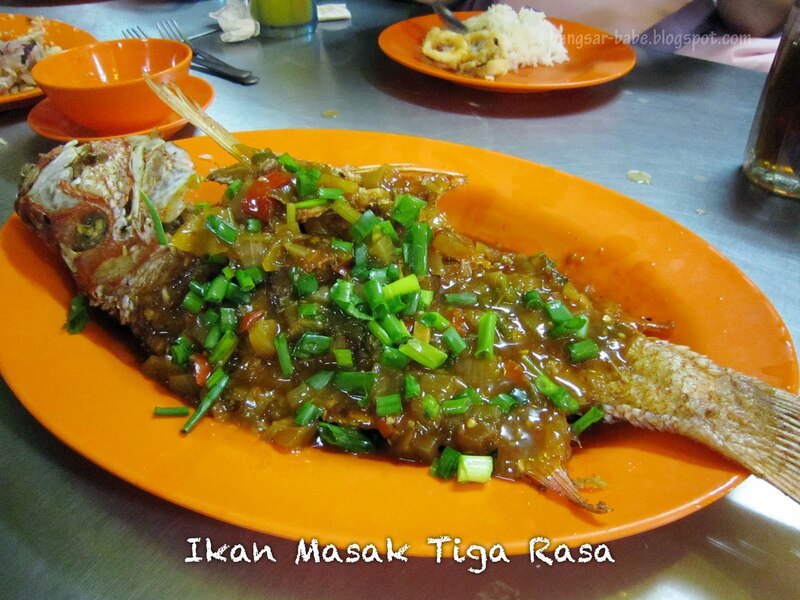 They have selections of grilled fresh water fishes, ulam and lots of Perak kampung dishes.